Maybe it’s time to set some boundaries between your flowers and your kid’s bike. 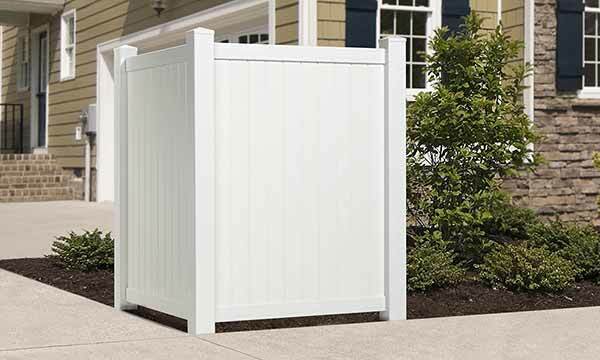 This L-shaped picket accent fence will do that. It’ll also look cute on the corner of your patio. All pieces slide together and lock in place. No posts to bury. It sits on top of concrete, or, you can secure it to the ground with included stakes (they go inside the posts). Quality PVC vinyl is manufactured to withstand UV rays and normal temperature fluctuations. It eliminates the weatherproofing nonsense that ruins your day off. To clean it, just use a hose. Installation tip: Install the center post first.